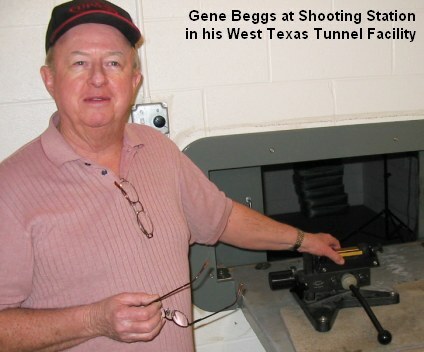 Gene Beggs is a Texas shooter and gunsmith known for “out of the box” thinking. He has successfully pioneered the 220 Beggs and 6mm Beggs cartridges in BR competition, and has developed radical new rifle designs and tuners at his West Texas research facility (with a 100-yard indoor shooting tunnel). 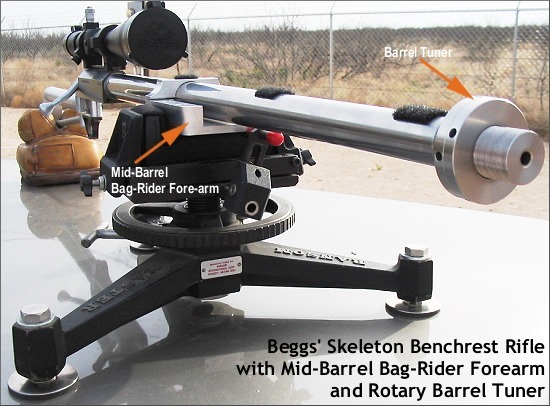 Recently Beggs has tackled the challenge of indexing centerfire barrels. It looks like he has engineered a workable solution that will allow shooters to index their barrels without altering the critical headspace dimension. If this really works, Gene has come up with an important new gunsmithing procedure with the potential to enhance accuracy for a wide variety of firearms. Barrel Indexing is a procedure for optimizing the rotational position of a barrel relative to the action. With a conventional barrel installation, if you were to put a mark on the outside of a barrel and then screw the barrel into the action, that mark might end up at at 12 o’clock, or 6 o’clock or pretty much any position on the “clock-face”, depending on where the shoulder is cut on the barrel. When the shoulder butts up against the face of the action (or recoil lug), you can’t screw the barrel in any farther. At that point, the barrel’s rotational position is fixed and can’t be changed without altering headspace. Tests with rimfire barrels suggest that careful barrel indexing can produce accuracy gains. We’re not quite sure why — there are different theories — but it has been clearly demonstrated that by rotating the barrel relative to TDC (top dead center) on the action, you can move bullet point of impact quite dramatically. 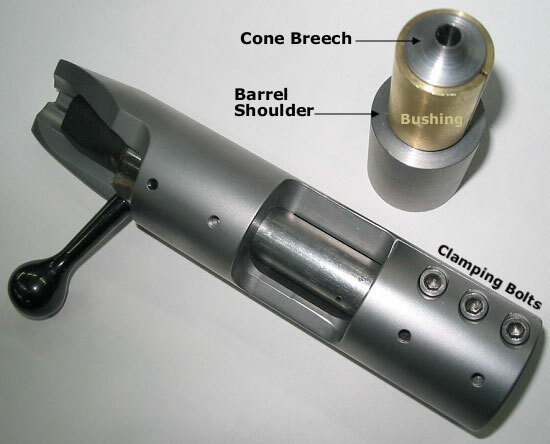 On rimfire barrels machined with a cone breech and secured with a barrel block system (as on an Anschutz 2000-series action), gunsmiths such as Mike Ross have been able to easily experiment with index positions. CLICK HERE for Mike Ross Indexing Tests. But indexing centerfire barrels has been a challenge. You can use shims to adjust the barrel’s index position relative to action TDC, but this moves the shoulder in and out, effectively altering headspace by the width of the shims used. Is there a way to index a centerfire barrel without changing the headspace? Texas Benchrest shooter and gunsmith Gene Beggs thinks he has the answer. 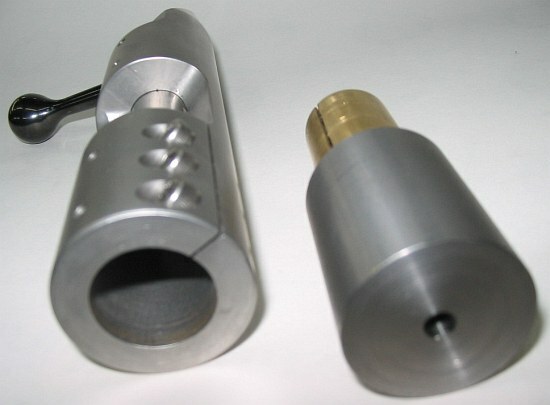 With a conventional barrel installation, the action/receiver has an internal female thread. 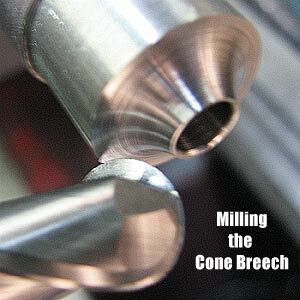 The threaded breech end of the barrel, or tenon, has a male thread. The barrel simply screws in until its rotation is stopped (and index position fixed) when the shoulder hits the action face or recoil lug. Beggs has come up with an ingenious solution using an intermediary threaded bushing that fits between the action thread and the tenon threads. The barrel tenon is reduced in diameter slightly and re-threaded to mate with the inner bushing. This inner bushing is shorter than the receiver threads so it can be adjusted inwards and outwards. Its position is fixed with a set-screw. The effect of moving the inner sleeve inwards and outwards is to change the index position at which the barrel tenon threads start to “grab” as they are spun inwards. Set the inner sleeve at one position, and the tenon threads may start contact at 6 o’clock for example. Rotate the inner sleeve a half-turn and the threads will start at 12 o’clock. Now, as you continue to screw the barrel inwards, it will still stop when the shoulder hits metal — so headspace is always the same. But…and this is the key point, the barrel’s rotational index position will vary depending on the position of the inner bushing. By adjusting the bushing position, you control where the barrel’s threads start to “connect”. The result is that the rotational orientation of the barrel can be indexed at any point on the dial. “Inserted in between the action threads and the barrel tenon is a bushing that can be adjusted fore and aft in the action. This makes it possible for the barrel tenon shoulder to contact the receiver face at any position of the clock. Of course, the barrel tenon must be turned down and threaded to match the inside threads of the bushing. A small stainless steel set screw now holds the bushing securely in place. Adjustments are quick, easy and secure. For more information on the Beggs Indexing system, email Gene at genebeggs [at] cableone.net, or call (432) 631-5124, or (432) 367-0329. Share the post "Beggs Devises Indexing System for Centerfire Barrels"